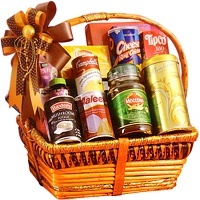 Description: Mesmerize your dear ones with this Shimmering Moments of Love and make them crave for more. 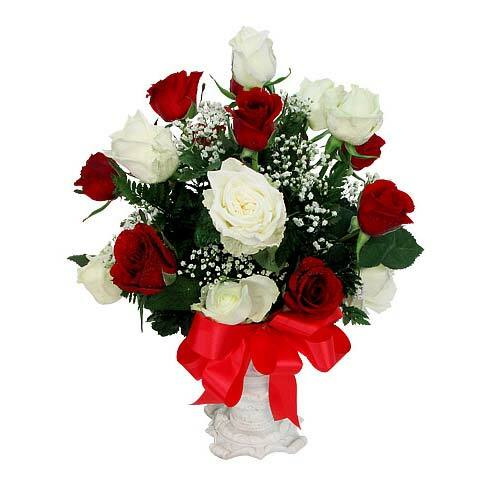 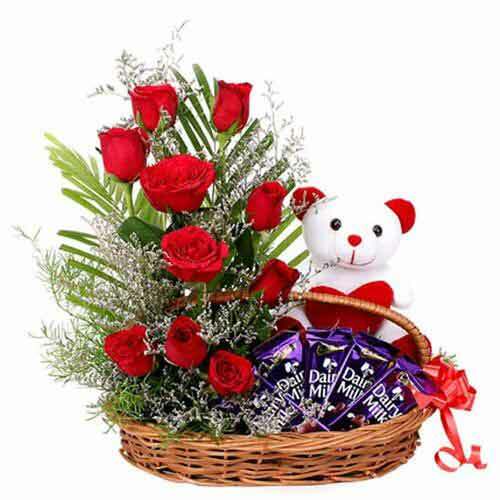 There are beautiful Red N White Roses along with green ferns and decorated with Red Ribbon. 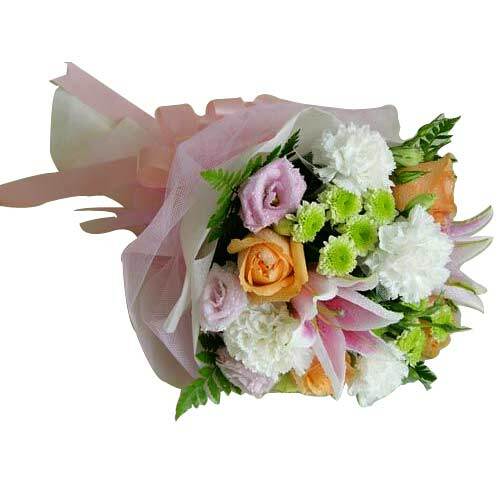 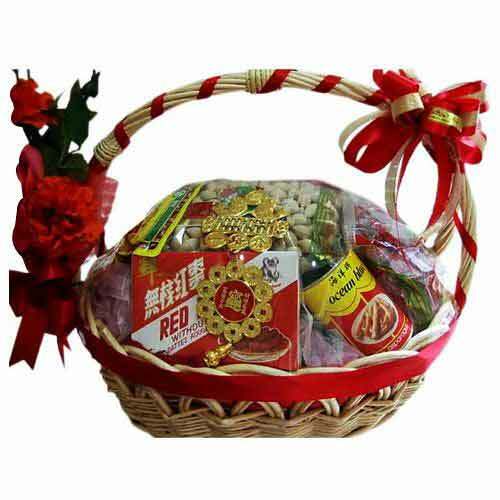 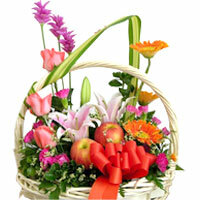 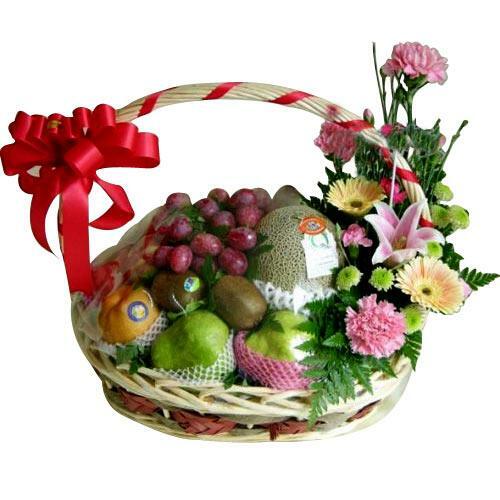 Take your beloved breath away on Valentine Day by sending this gift.